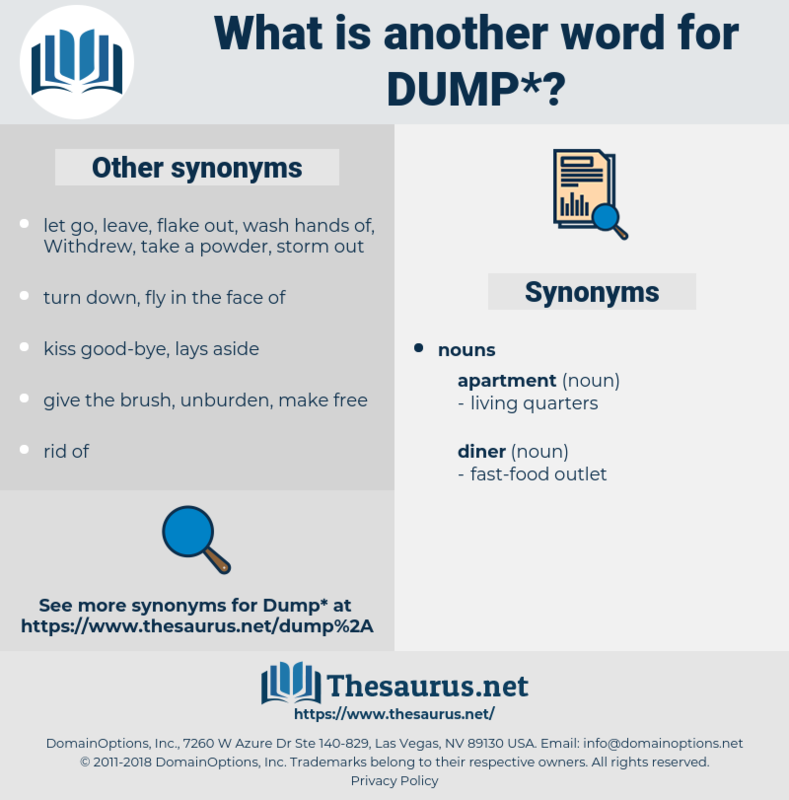 What is another word for dump? An old kind of dance. dive, garbage, pile, storehouse, mud, shithole, emptying, deposit, landfilling. 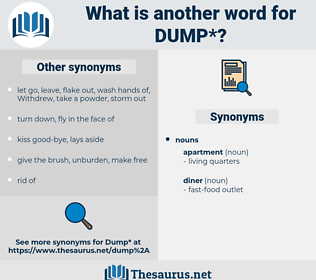 lay, jettison, dispose, rid, dismiss, flush, reject, cast, leaving, deposit. landfill, dustbin, junkyard, hellhole, wasteland, slum. retain, keep, save, conceal, take in, load, continue, maintain, fill, hold, hide. As soon as we can dump our packs aboard. I don't see how you're going to prove it, and, even if you did, it doesn't matter a dump one way or the other. dumb, dombeya, dummy up, dam up, dumpy, done up, damp, down-bow, danube, deneb, demob. entrepot, storage, store, storehouse, depot. cast out, cast away, chuck out, discard, fling, toss, remove, cast aside, toss out, throw out, put away, dispose, throw away, get rid of, toss away.